Ecological Engineering is the design of ecosystems for the mutual benefit of humans and the environment. Ideal design considers humans to be part of nature rather than apart from nature. 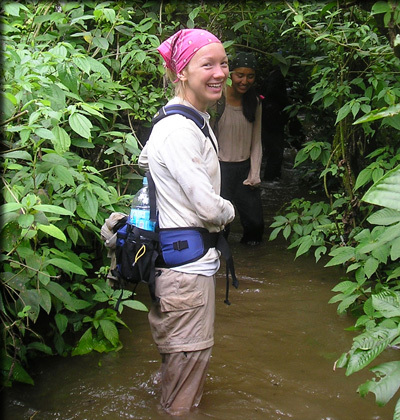 At ESF we believe that ecological engineering education and research should meet local to global needs. We teach and research sustainable solutions and approach ecological engineering broadly, working in many areas of the world and in most major areas of ecological engineering. Program prerequisite or co-requisite courses include at least one semester of study in thermodynamics, fluid mechanics, or statics; probability and statistics; ecology; and hydrology. Program mastery courses beyond the departmental requirement include at least one course (3+ credit hours) in each of these areas of competence: 1) Ecosystem Restoration; 2) Pollutant Treatment; 3) Modeling; and 4) Ecosystem Sciences.